Home NATIONAL NEWS Mobile towers near prison centers: SC issues notice to Rajasthan Govt. Mobile towers near prison centers: SC issues notice to Rajasthan Govt. The Supreme Court on Monday issued a notice to the Rajasthan Government over removing mobile towers within a distance of 500 metres of prison centers. The state government has been asked to reply within four weeks. The Rajasthan Government had directed to remove all mobile towers within a distance of 500 metres of prison offices from June 8. 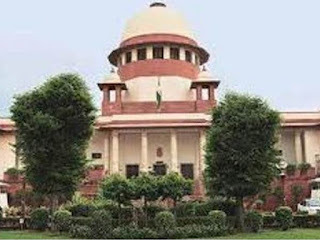 The Cellular Operators Association of India (COAI), the association of the telecom body, had knocked the doors of the apex court challenging the order which had sought removal of many mobile towers located within 500 metre distance of jails in the state. The High Court passed this order citing a notification issued by the state government which had allowed such towers to function. Earlier in 2015, the top court stayed the operation of the interim order of the Rajasthan High Court asking for the uninstalling of several ground-based towers installed by Reliance Jio Infocomm Ltd in Jaipur.